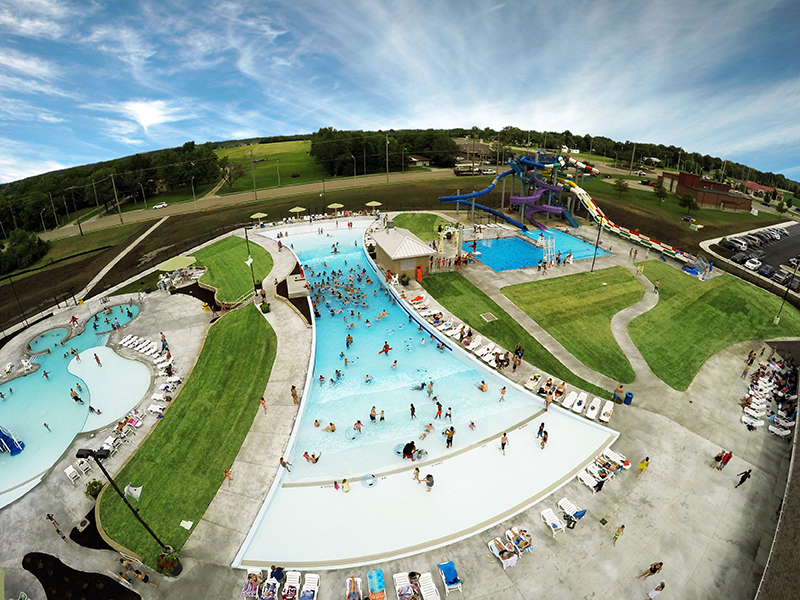 As part of a $9.5 million renovation project, Splash Cove, a municipal water park located in Shawnee, KS, wanted to build exciting and unique attractions that would increase daily visitation and appeal to residents of all ages. 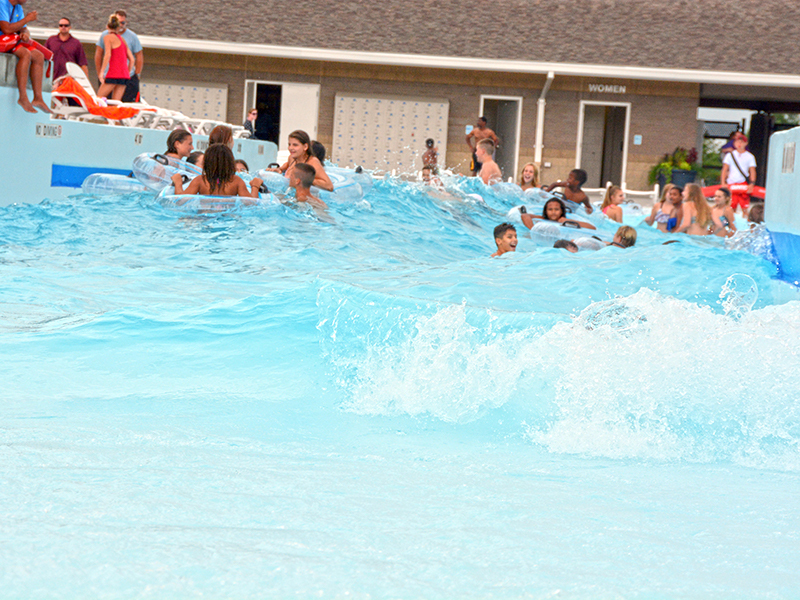 In particular was the need for a new wave pool that could make a statement as a main attraction to their park. 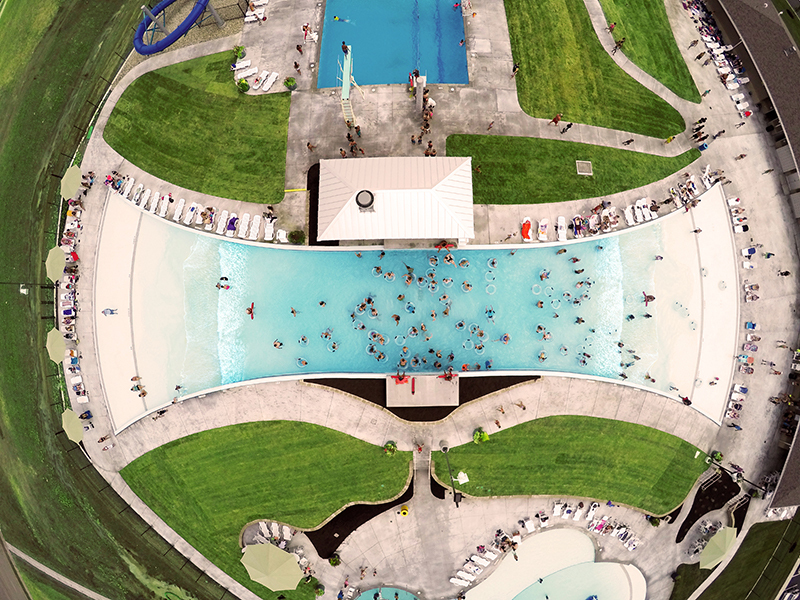 After searching design templates throughout the U.S. and overseas, Splash Cove chose ADG’s new dual entry wave pool system, Twin Tides™, as the perfect solution for their new wave pool attraction. 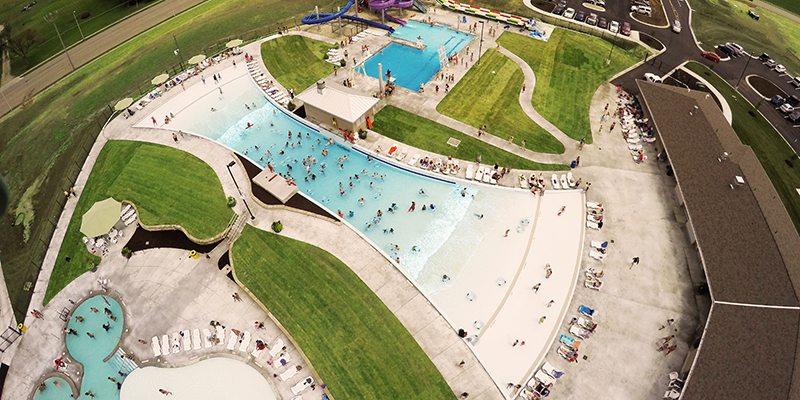 Unique and easily modified to fit within the existing space, and developed with ADG’s patented WaveTek™ wave generation system, guests can experience up to four different types of wave patterns and utilize the entire length of the pool, swimming from one end to the other. 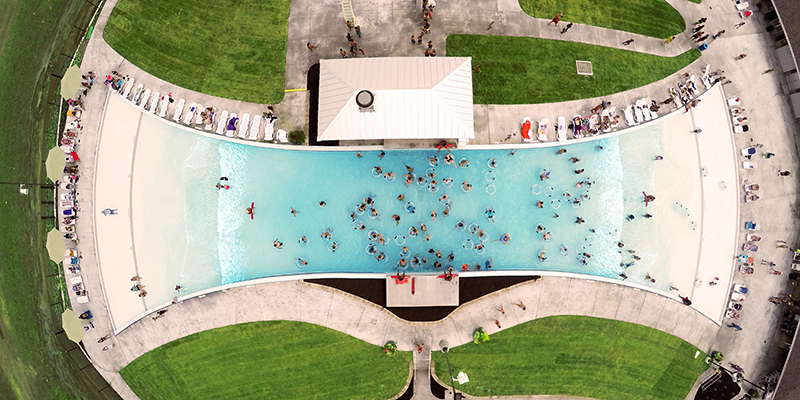 With easy exit and entry on both sides of the wave pool, and no “dead zone” at the deep end, ADG’s Twin Tides™ pool design doubles capacity over traditional wave pools of a similar size. 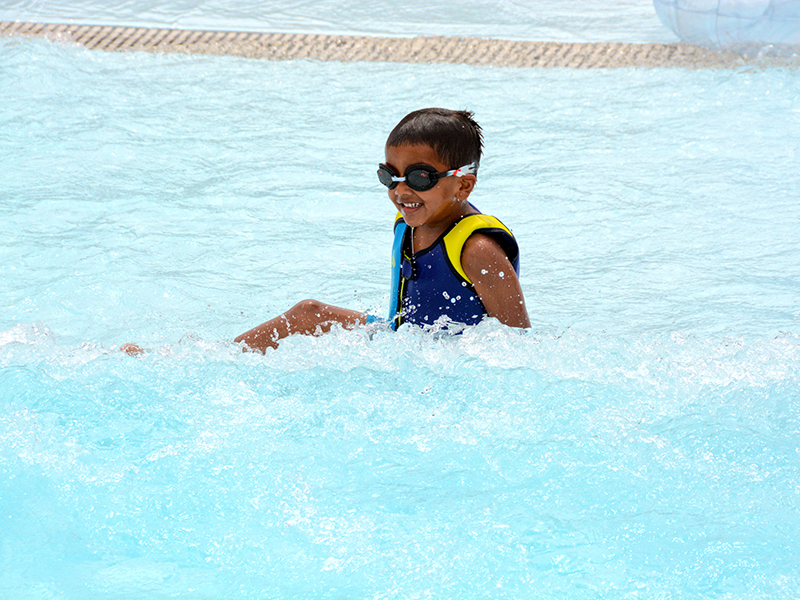 A shallow beach entry on both sides makes this wave pool easily enjoyable and accessible for guests of all ages. 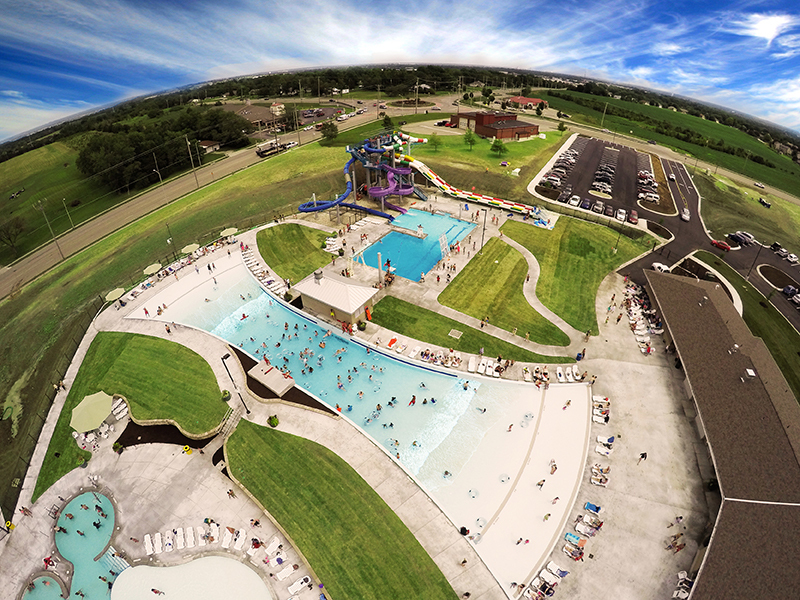 The unique dual entry wave pool at Splash Cove is the first of its kind in the U.S. and is making a splash with local residents! 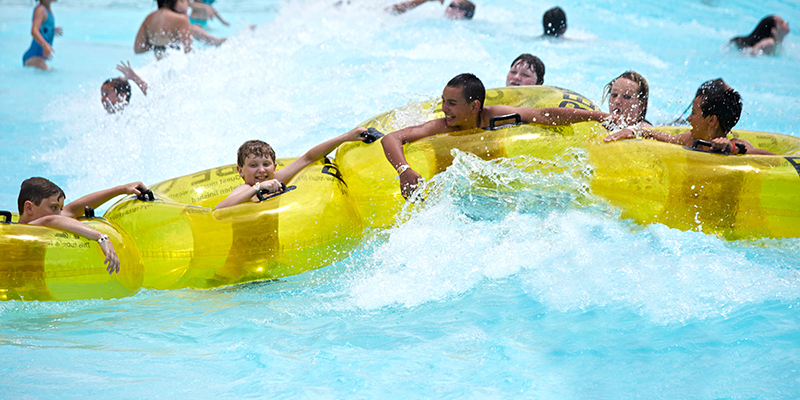 With ample space for seating on all sides of the pool, and the ability to accommodate increased numbers of patrons, the new attraction has given Splash Cove exactly what it needed to create the guest experience they were looking to achieve. 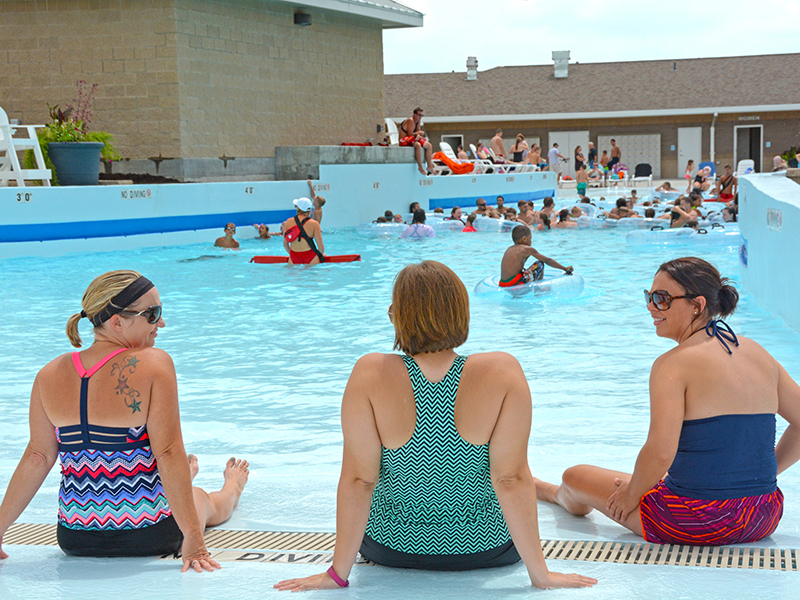 Summer visitation saw a tremendous boost from guests within the local market with a 30-35% increase in attendance over the previous summer.